Legion Twierdzy Wrocław is a well-known band on the stage of identity derived from Wroclaw. Established since 2011 and have already released 3 albums and a split together with Old Firm. This weekend they will celebrate 5 years as a band with a concert. And a new release will be announced at the concert. We have take us a moment with LTW just the days before thier celebration so people can get to know them a little bit more. Enjoy! Hello, and thank you for participating in this interview. 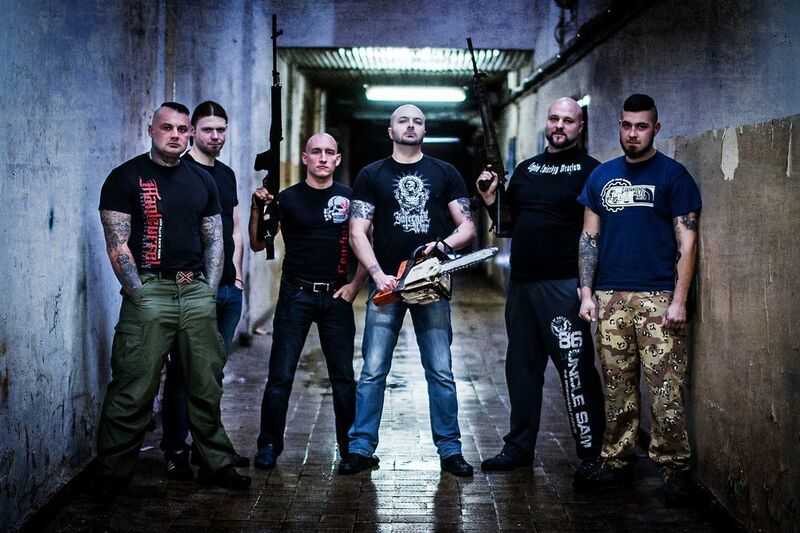 Would you like to start with giving us a background story of your band Legion Twierdzy Wrocław. Hello Friend! We are Legion Twierdzy Wrocław so as the name suggests we are from Wrocław. The band was formed in 2011 after finishing L.S.H.P project in which our vocalist and guitarist have played. We've had some perturbations during these five years. In the past few years our second vocalist and bassist have joined us. The band members have some various taste in music so our music isn't dull or monotonous. We are focusing on development. Your domicile, Wrocław. Would you like to describe it for us who have never visited it? Like a travel guide. Wrocław is called "the city of a thousand bridges". The infrastructure of our citadel was built in relation to river Odra. We have a lot of rare monuments of European architecture here such as University of Wrocław or City Hall. The green colour of our plants and trees goes well with the bloody red bricks which gives a magnificent effect and pleases the eye. We cordially invite you to visit the capital of Lower Silesia. As we sing in one of our songs "they write everywhere that that's the meeting place so maybe you'll finally meet us"
Does your locality influence your music in any way? Our city and region plays a big role in our artistic creativity. We take ideas and inspiration from everyday situations that occur in the city or outside of it as well. Lower Silesia is a huge inspiration for being creative because of beautiful landscape and nature not to mention the cultural heritage that our ancestors left for us. How did you come to appreciate music, and what motivates you to create your own? How you cannot love the music when it takes a huge part in human life? We’ve met in the right place and in the right time. We share interests and passion so it affects our albums. What do you hope listeners will take away from hearing your music? Most of all we wish that our music was heard by greater number of people. We bring up a lot of subjects in our music. From dim and distant pagan times till this day. We are sure that everybody will find something for themselves in our music. Please take this opportunity to highlight your new album “Defend of Europe”. You have a concert upcoming in a couple of days. Would you like to say something about it? 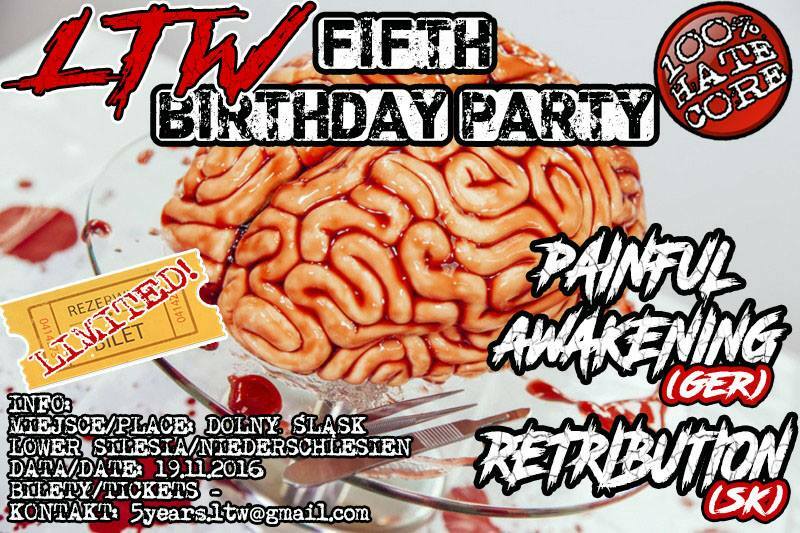 19.11.2016 we play our birthday gig with our friends from Germany and Slovakia. It is a great occasion to solidify our relations and speak about our common future. On that day we also have a premiere of our next album "Druga twarz (the second face)-five years of hate". On this occasion we have prepared a couple of surprises. You have interacted together with Painful Awakeing before. How did this idea came up to do a song together? Describe the lyrics of this song. We had an occasion to meet up several times here in Poland or in our brother land - Germany. We have familiar music style so it wasn't hard to intercommunicate and to create something together. I think that the video clip delivers the message perfectly. How is it with live gigs for you? Have you played a lot of gigs? We have played more often recently and not only in our country. We have played in Sweden, England, Hungary, Slovakia and Germany. In every of these countries atmosphere was simply great. We hope to get a chance to play in different cities of Europe and whole world maybe. Is it easy to book you for a gig? If you are interested in concerts you can contact us through our fanpage or simply approach us at gigs and talk about cooperation. How is the scene in Poland today? Gigs, active bands ect. Polish scene is slowly taking colors again. There was a time of demurrage but everything is slowly going back to normal. I assume you heard about Night Of Terror. Brainwash, Moshpit, Velimor and our friends from Painful Awakening already played in Poland. What keeps you moving on? Actually we don't need any incentives. We are permanently inspired and we have plenty of ideas to realize. Thank you and good luck on the gig! Any last words? We thank you for this interview for Midgård. We are glad that our band gains more recognition in the world. We invite you to support the scene and see you on our shows! No more brother wars! Hail!